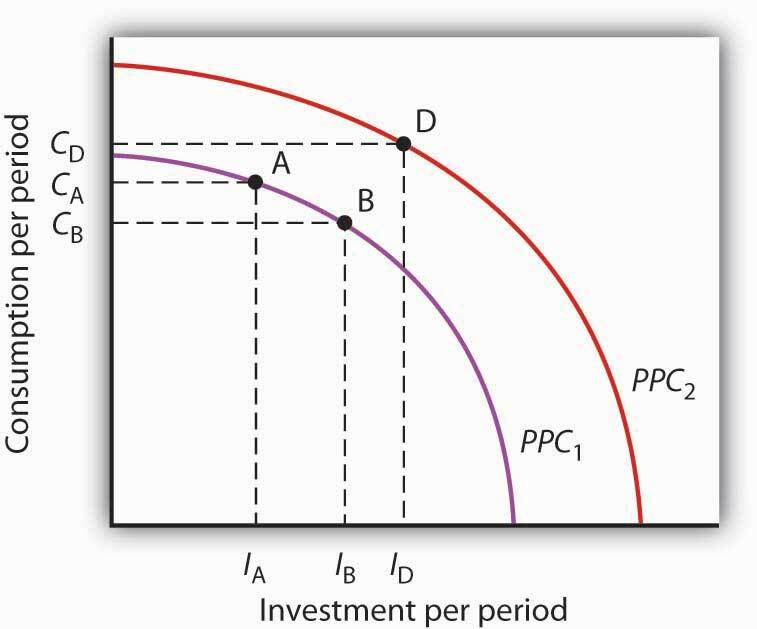 This is “The Role and Nature of Investment”, section 14.1 from the book Macroeconomics Principles (v. 2.0). For details on it (including licensing), click here. Nonresidential Equipment and Software. Producers’ equipment includes computers and software, machinery, trucks, cars, and desks, that is, any business equipment that is expected to last more than a year. Equipment and software are counted as investment only in the period in which they are produced. 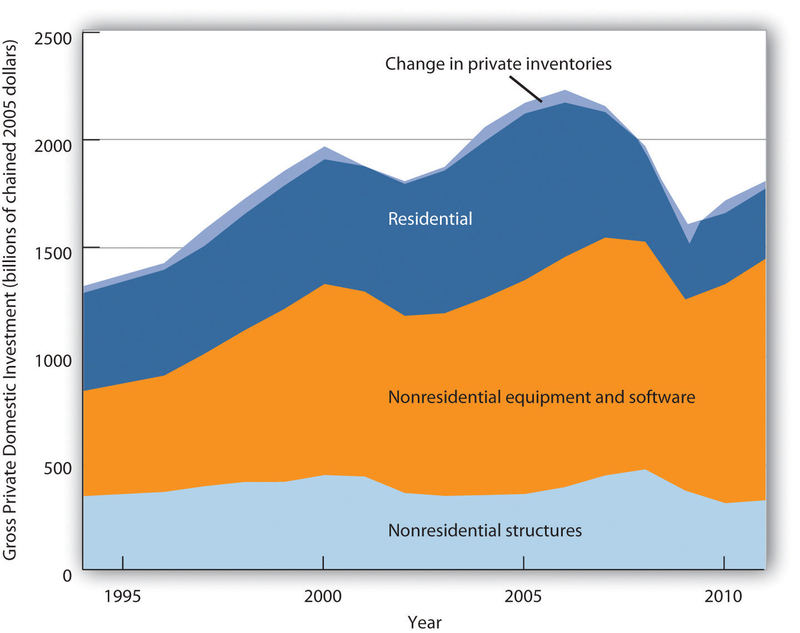 Figure 14.1 "Components of Gross Private Domestic Investment, 1995–2011" shows the components of gross private domestic investment from 1995 through 2011. We see that producers’ equipment and software constitute the largest component of GPDI in the United States. Residential investment was the second largest component of GPDI for most of the period shown but it shrank considerably during the 2007–2009 recession and has yet to recover. This chart shows the levels of each of the four components of gross private domestic investment from 1995 through 2011. Nonresidential equipment and software is the largest component of GPDI and has shown the most substantial growth over the period. Source: Bureau of Economic Analysis, NIPA Table 1.1.6 (revised February 29, 2012). In the official estimates of total output, gross investment (GPDI) minus depreciation equals net private domestic investment (NPDI). The value for NPDI in any period gives the amount by which the privately held stock of physical capital changed during that period. 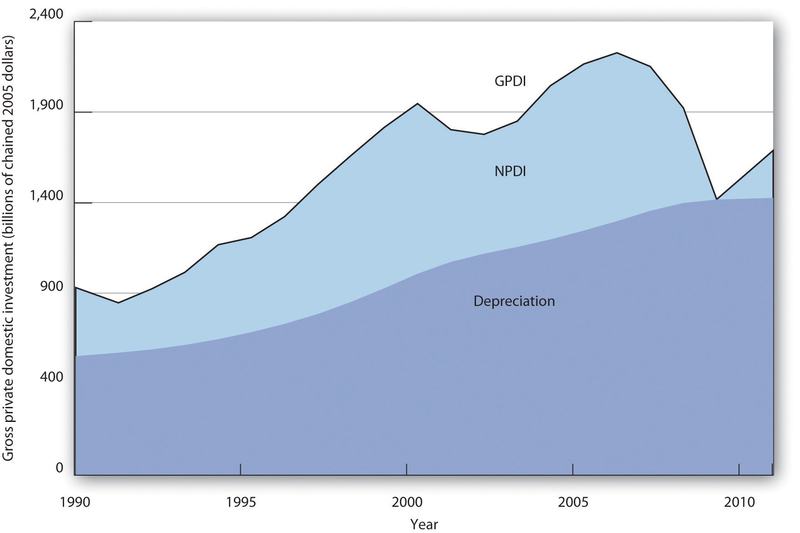 Figure 14.2 "Gross Private Domestic Investment, Depreciation, and Net Private Domestic Investment, 1990–2011" reports the real values of GPDI, depreciation, and NPDI from 1990 to 2011. We see that the bulk of GPDI replaces capital that has been depreciated. 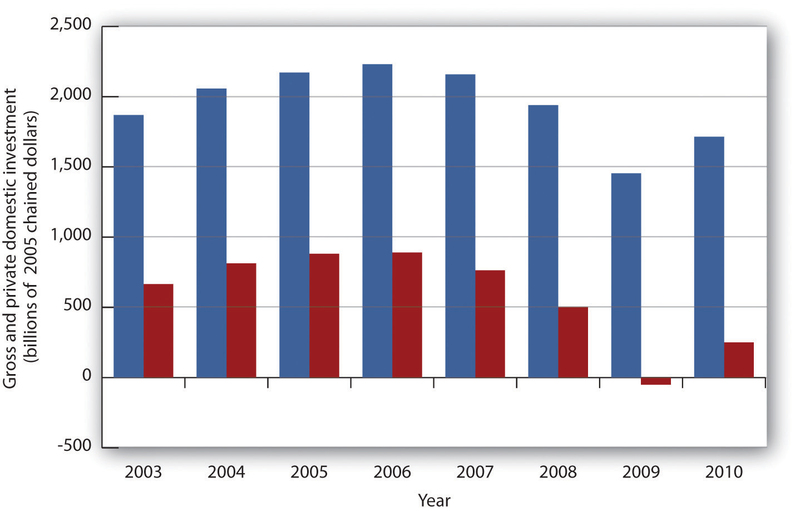 Notice the sharp reductions in NPDI during the recessions of 1990–1991, 2001, and especially 2007–2009. Source: Bureau of Economic Analysis, NIPA Table 5.2.6 (revised February 29, 2012). Investment, measured as GPDI, is among the most volatile components of GDP. In percentage terms, year-to-year changes in GPDI are far greater than the year-to-year changes in consumption or government purchases. Net exports are also quite volatile, but they represent a much smaller share of GDP. 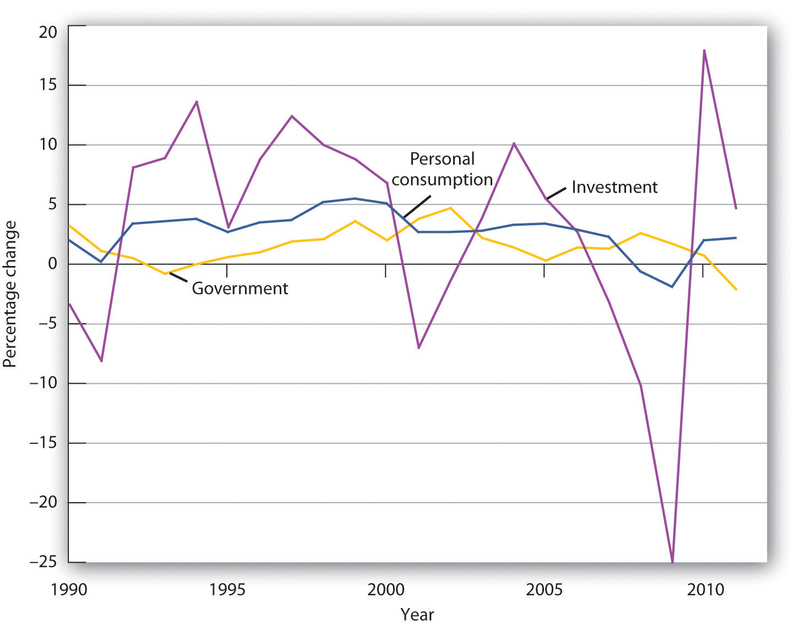 Figure 14.3 "Changes in Components of Real GDP, 1990–2011" compares annual percentage changes in GPDI, personal consumption, and government purchases. Of course, a dollar change in investment will be a much larger change in percentage terms than a dollar change in consumption, which is the largest component of GDP. But compare investment and government purchases: their shares in GDP are comparable, but investment is clearly more volatile. Source: Bureau of Economic Analysis, NIPA Table 1.1.1 (revised February 29, 2012). 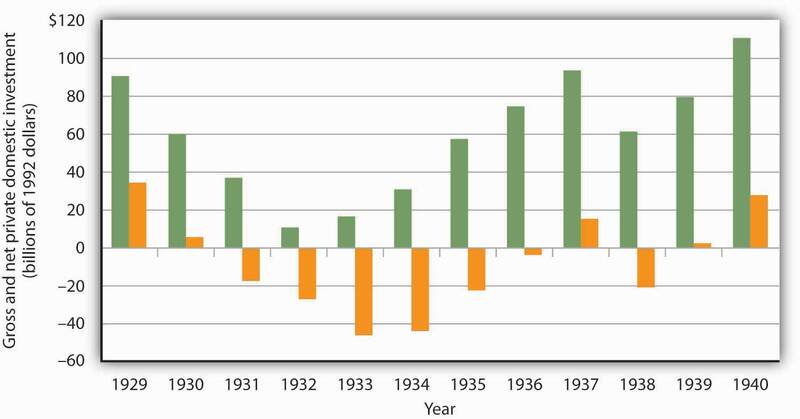 Net private domestic investment (NPDI) has been negative during only three periods in the last 80 years. During one period, World War II, massive defense spending forced cutbacks in private sector spending. (Recall that government investment is not counted as part of net private domestic investment in the official accounts; production of defense capital thus is not reflected in these figures.) 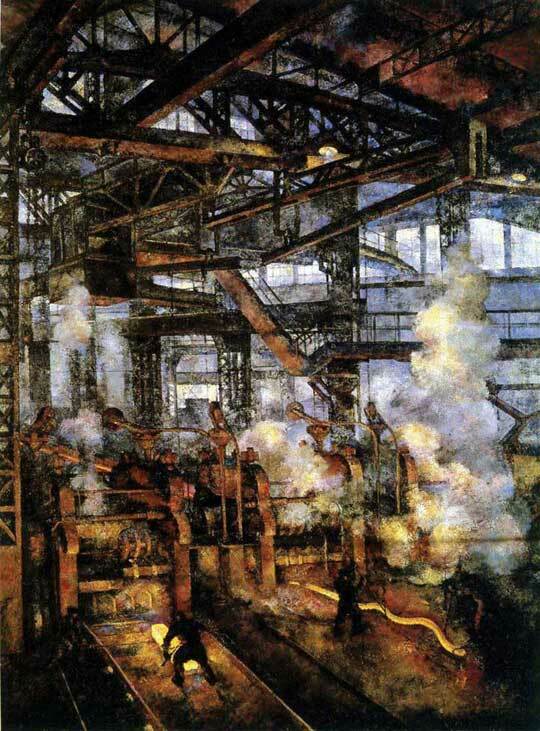 The second period in which NPDI was negative was the Great Depression. A third—very brief and very small—encounter with negative net private domestic investment occurred in 2009, when it fell by $1 billion (in 2005 dollars). The two graphs in this case present a contrast between the Great Depression and the Great Recession. The Great Recession was bad, but the Great Depression was ever so much worse.